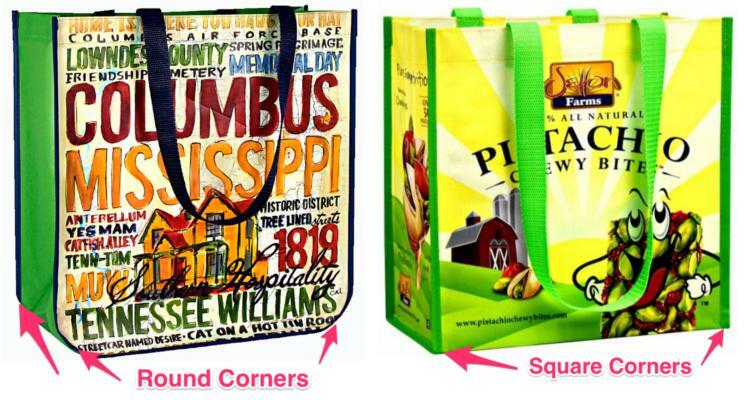 What are the art requirements for your fully customized reusable bags? 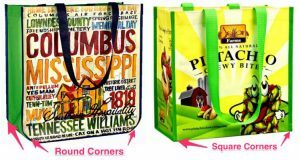 When your reusable bag project necessitates full color, full bleed customized reusable bags, this is what you need to know about your artwork. 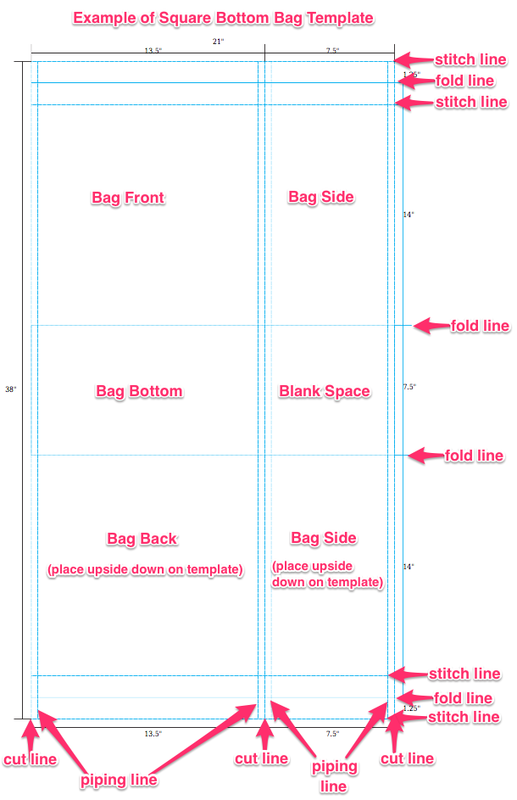 The following information pertains ONLY to our fully customized reusable bags. These bags have a minimum order of 2500 bags and 90-day lead time. 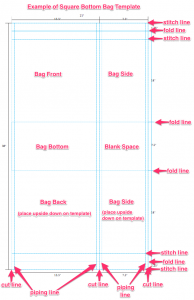 If you’re looking for artwork requirements for our stock custom reusable bags, click here. Piping Allowance: The piping is 1/4” – 3/8” depending on the material. Critical elements should be given 1/2”-3/4” allowance to avoid being covered by piping. Stitch Zone Warning: There will be stitching to secure the handles and a row of hem stitching approximately 1-1/2” from the top of the bag as noted on the template. 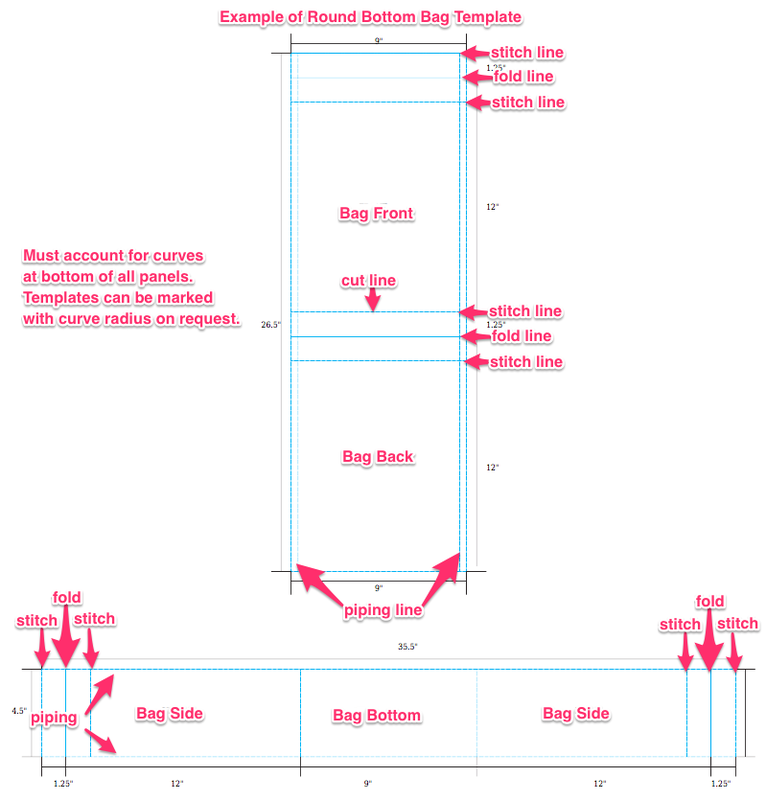 Placement of hem stitching varies, but typically falls around 1-1/4” from the top. I am interested in placing an order and say that you send out bag samples. Would you be able to send me one that is from recycled water bottles on the inside and the other that is more sealed thus easier to clean? I think those were the options. I am sure there are several more questions that are needed but I wanted to get the conversation going. would love to see some samples. We are a quilt shop. We want a large bag we can place folded quilts in. Hi there! We can offer up to three samples at no charge. We’ll have an account manager reach out to you to help you narrow your options. You can also send a message to team@bulletinbrands.com to start a dialog!